Fuel economy in automobiles refers to the fuel efficiency relationship between distances traveled by an automobile and the amount of fuel consumed. 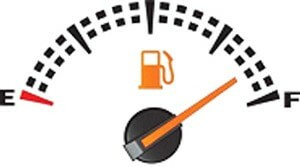 Fuel economy is expressed in mile per gallon (Mpg) or kilometers per litre (km/l). The reciprocal ratio, “fuel consumption” is usually expressed in litres per 100 kilometers or litres per mile. There are many ways to decrease fuel consumption, some examples may be proper tire maintenance by reducing friction, you reduce the work that your engine has to do to keep you in motion. To ensure that you tires are inflated properly, check your owners manual for recommended pressure. Any extra weight in your vehicle means that your engine must work harder, burning more fuel to keep you moving. Haul only what is necessary, and remove any items from your trunk. To increase fuel economy you may need change your driving habits, speeding and constantly accelerating all burns more fuel. Avoid sudden starts and stops. If you are going to be sitting for more than a minute anywhere, turn off your engine. In the morning, only warm your vehicle long enough to defrost the windows. Plan your driving to avoid frequent short trlps. Air conditioning increases fuel consumption significantly. Using the vehicles air vents is the most efficient way to move air into the vehicle. If that isn’t sufficient to make the interior of your vehicle comfortable, lowering a window an inch or more can cool the vehicle down, although open windows cause drag. If you keep vehicle properly tuned, check and replace air filters regularly, and use the recommended grade of motor oil, you can save up 15% of your fuel used. A wheel alignment can save both fuel and tire wear. Regular maintenance on your engine, and tires in particular, will save you money and keep your vehicle operating longer. Know how well your vehicle uses fuel by keeping a diary of how many kilometers you are able to drive per litre of fuel. Then, try to get more kilometers per litre. If you see the number of kilometers per liter going down, review these tips, and try to determine the cause.